Over the years GW has had a lot of different mechanics to represent Stealth on the tabletop. 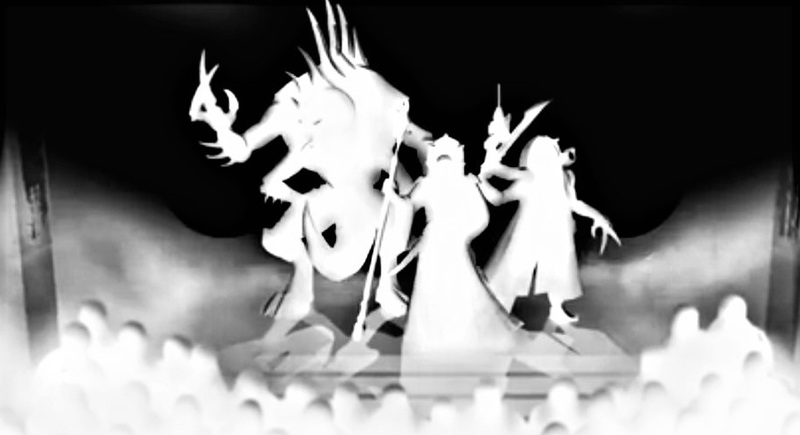 Today we’re taking a look back at how they represented Stealth over the years – and how the new Genestealer Cults are completely changing the game. 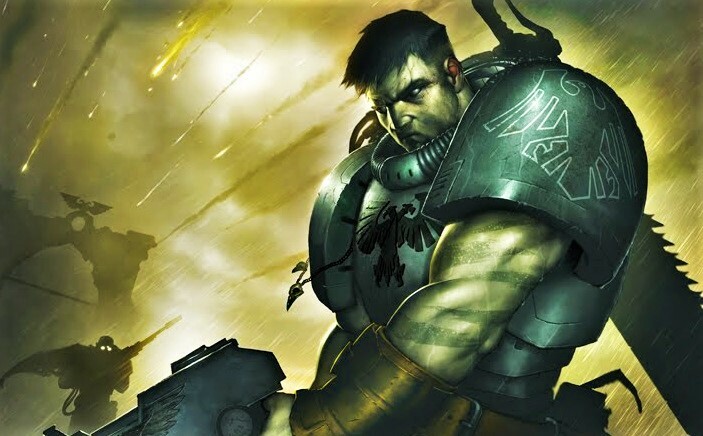 In Warhammer 40,000, representing how a stealth unit or a “sneaky git” would work mechanically in game has been tricky. For the most part, the game is played with fairly open information – if you want to set something up in a special “ambush” or “deepstrike” or “reserve” you generally have to declare that and let your opponent know what you’re doing. Or the concept of stealth was applied to units in different ways by giving them a bonus move or modifying their armor or “to be hit” roll. Many of these mechanics were introduced in earlier iterations of 40k and have changed names but still work the same mechanically. Today, we’re taking a look back at these mechanics and how they have been used. Then we’re going to look at the new Genestealer Cult Rules and why they might be the most game changing rules to represent stealth in 40k. Whatever you want to call this rule, it’s basically the same in-game mechanic: Setup the unit anywhere on the tabletop. 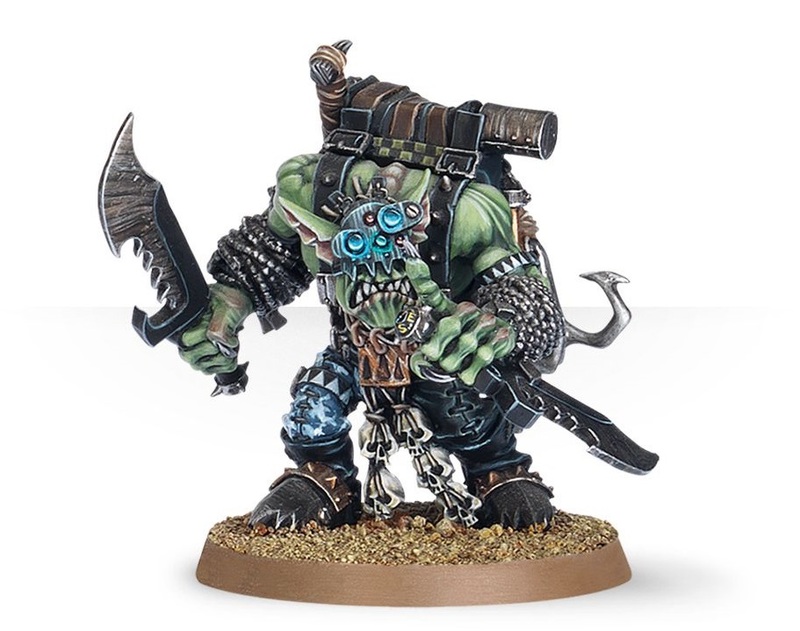 In 8th edition, this unit typically can’t be within 9″ of an opponent. But in previous editions you could pick a point on the board and use the scatter dice to determine if they “hit” or if they missed their mark (any by how wide a margin). This was a pretty straight forward way to represent a stealth unit as they might have been laying in wait to strike when the opponent least expected it – maybe they were there the whole time! We still see this used in a similar form or fashion with the “stealth” units today. Infiltrate and Scout used to be two different rules – but for the purposes of this article, we’re lumping them in the same category. Infiltrate would allow you to deploy after the enemy deployed – and you could typically drop in outside of your deployment zone or had some type of extra distance for your Infiltrating units. Scout used to be that you would get a pre-game move of some type as well. Regardless, this mechanic is still in place as some type of bonus pre-game move. 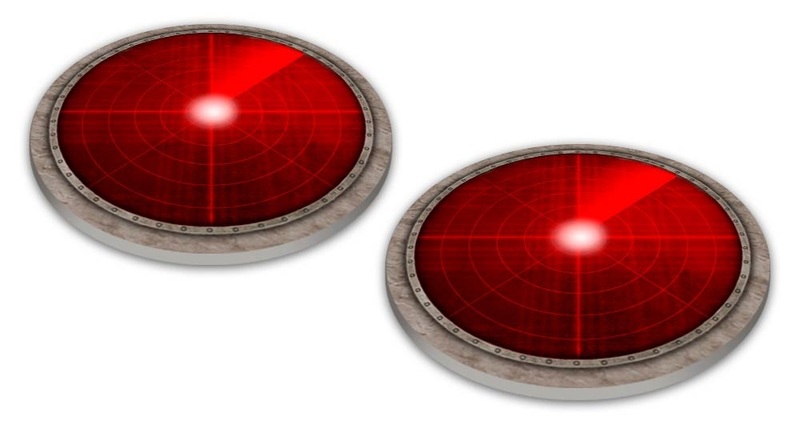 For stealth units, this is still used to represent how they can sneakily work their way into positions ahead of time. It’s a similar concept as Tactical Reserves, only they typically start the game ON the board vs off-board. One other type of deployment trick involves a unit coming in from a board edge. For the truly stealthy units, it could even be the opponent’s table edge. Typically, they would enter from a board edge and get a movement, but they couldn’t end within 6″ of an enemy unit. In 8th, their might be similar restrictions but now it’s a 9″ barrier. These types of rules are still in effect today and the power of an “outflanking” stealth unit is undeniable as it can make your opponent stay in the middle of the table to avoid getting surprised by one of those units. Stealthy units sometimes get a rule that makes them harder to hit from ranged attacks. 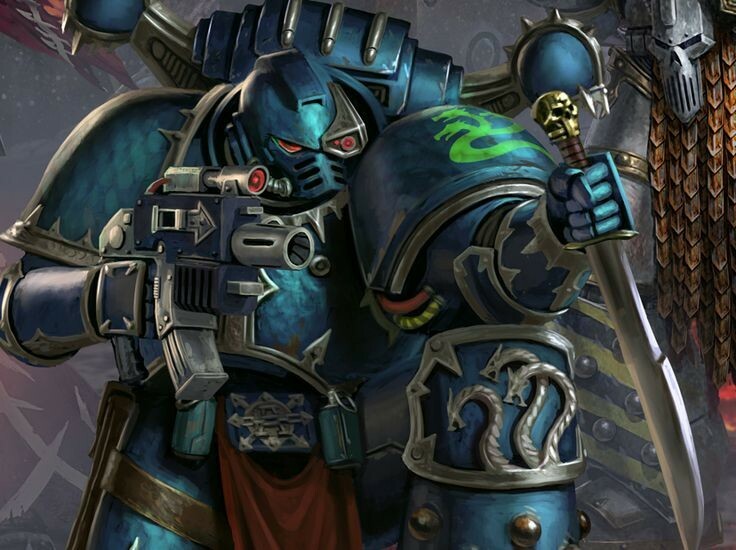 The Raven Guard/Alpha Legion have an ability that makes them -1 to be hit for attacks over 12″ away, but there are other abilities that do similar things. Some stealthy units might get a bonus to their armor save while they are in cover. For example a unit of Space Marine Scouts with camo cloaks gets a +2 to their armor save instead of just +1. Mechanically, both of these types of rules are modifying a die roll instead of a movement or deployment ability. The Aeldari have a vehicles that benefit from similar rules not because of their stealth but because of their speed. Instead of setting up a unit underground or on the battlefield, you can choose to place an ambush marker anywhere within your deployment zone. You can place a marker for each unit you choose to set up an ambush – even Transports and larger Vehicles such as a Cult Leman Russ can be set up in this manner! The crucial detail here is that you don’t need to assign which units are represented by each ambush marker – you can decide that later. Unlike a bonus move, alternate deployment, or even a modifier to be hit, this new mechanic is changing up things completely as the models aren’t even on the table! You don’t know what you’re walking into and that’s perhaps the most “stealth” part of this entire mechanic. What are some of your favorite interpretations of “Stealth” on the 40k tabletop? 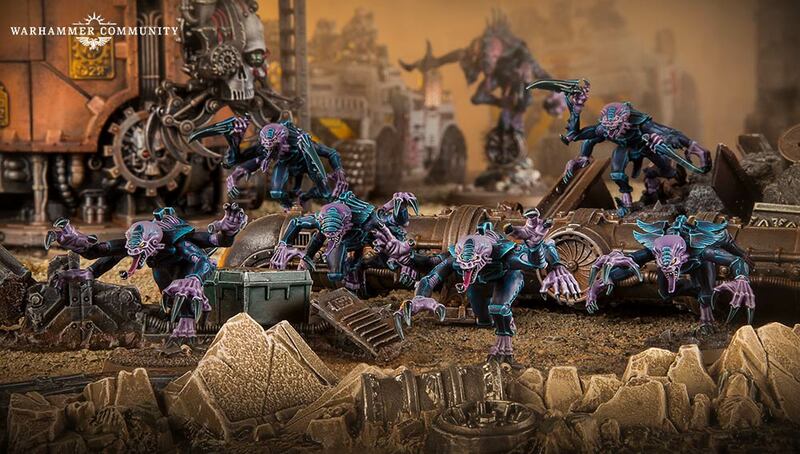 How do you feel about the new Genestealer Cult’s Ambush?